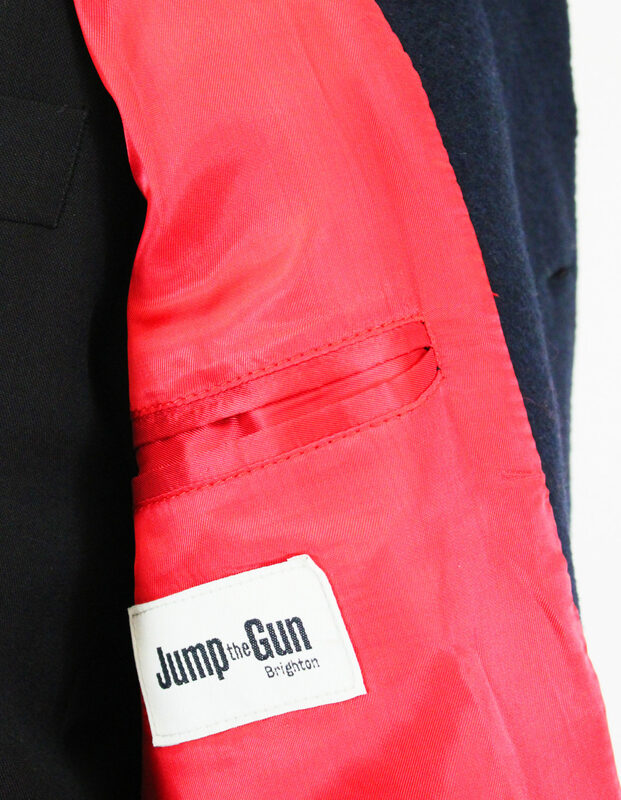 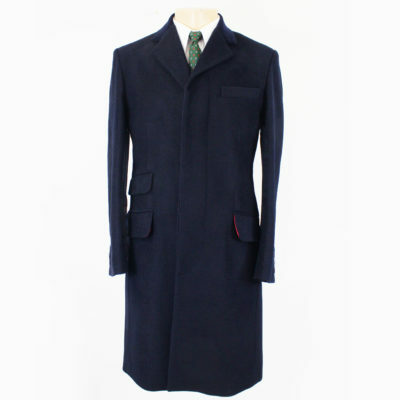 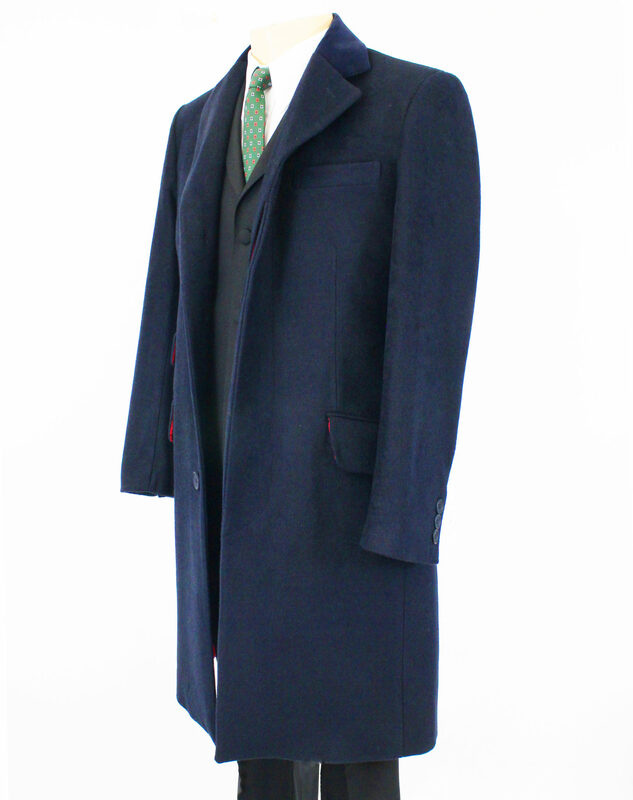 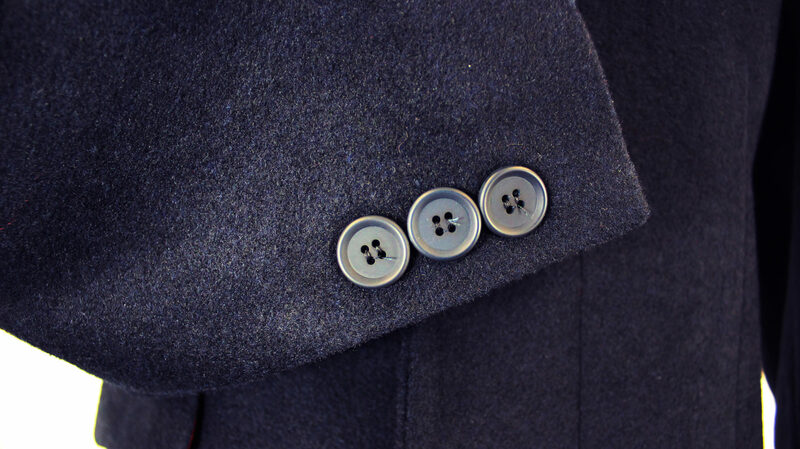 Navy JTG Overcoat. 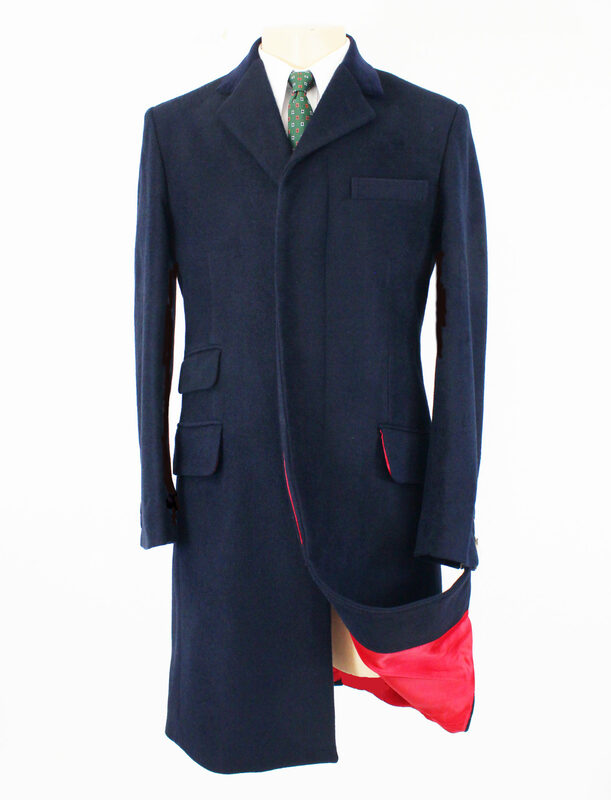 Our usual fitted 100% wool with ticket pocket and Red satin lining. 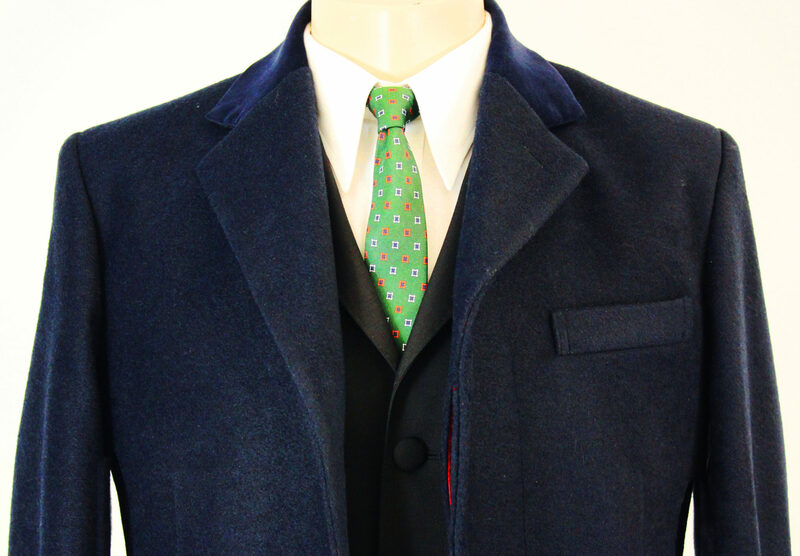 Navy velvet collar.